James Kenneth Murphy, 87, of Casey, Illinois, formerly Mt. Pleasant, died Tuesday, April 9, 2019, at Heartland Care Facility in Casey. He was born October 5, 1931 in Louisville, Illinois to Albert Randall and Zella Chandler Murphy. On January 16, 1954 he married Willma Carolyn Welty in Flora, Illinois. He was a 1950 graduate of Louisville High School and was a member of the Bettendorf Christian Church, New London Christian Church and First Christian Church of Martinsville. He was an Army veteran. He worked for John Deere in the Quad Cities, Alcoa in Bettendorf, and retired from the New London Community Schools after 18 years of custodial service. Kenneth and his wife sold Watkins products for many years and made many friends from the shows they would attend. They opened their warm, loving home for many years to babysit many area children. They treated each one like a grandchild of their own. Besides his wife, he is survived by one daughter, Rita (Doyle) Cozadd of Fenton, MO; one son, Randy (Carol) Murphy of Martinsville, Illinois; one brother, Wayne Murphy of Flora, Illinois; six grandchildren; thirteen great-great-grandchildren; nieces and nephews. He was preceded in death by his parents, one sister, Ruth and two brothers, Dale and Leland. A memorial service for Mr. Murphy will be at 2:00 PM Saturday, April 13 at First Christian Church in Martinsville with the family receiving friends beginning at 1:00 until the time of the service. Services in Iowa will be at a later date. According to his wishes, his body has been cremated and inurnment will be at a later date at the Rock Island Arsenal, Rock Island, Illinois. Memorials may be directed to his churches. Elliott Chapel, New London, Iowa is in charge of arrangements. 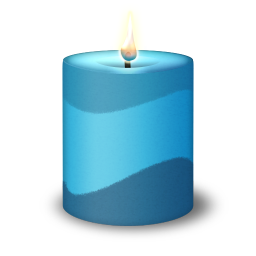 Online condolences may be left at www.elliottfuneralchapel.com. We were sorry to hear about Ken’s passing. The obituary made me smile because it brought back some great memories! You two were a perfect example of a happy life and marriage, not to mention awesome babysitters! I knew our kids were in good hands and that you loved them! May God bless you and keep you. So sorry Wilma, and sorry we will not be able to be there. Thinking of you! Adele and Jerry Malkin (Rosie's oldest son) want to express our fondest wishes that Uncle Ken is now resting in peace. We are extremely blessed to have spent some time with him, Aunt Willma, and our cousins this past June in Pittsburgh. God bless all! The services for James have not yet been added. Please sign up below to be notified when the services are ready. The attached photos are added to the memorial of James Kenneth Murphy to help share their legacy. Please help memorize James Kenneth Murphy by recording your attendance below.